The key ring is a normal sized key ring.. 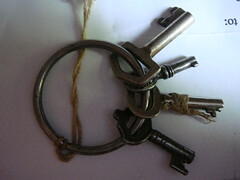 The 4 keys are tiny . 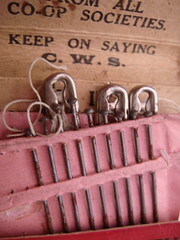 One has thread wrapped around it. 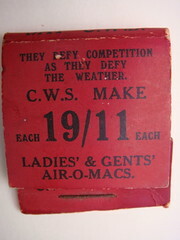 Not the nicest keys, but the attached tag has me wondering what on earth the appliance was? 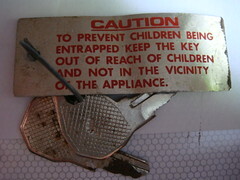 TO PREVENT CHILDREN BEING ENTRAPPED KEEP THE KEY OUT OF REACH OF CHILDREN AND NOT IN THE VICINITY OF THE APPLIANCE." 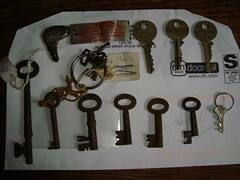 A Bumper find of keys, all from one stall on Cuddington Boot sale. I should have just bought them all...but I went back twice and got a few more. 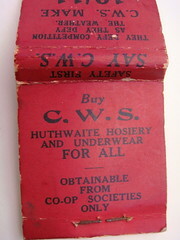 I bought this card packet from Crewe market a few weeks ago. 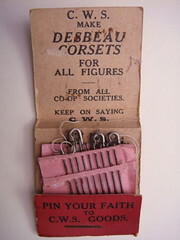 C.W.S MAKE DESBEAU CORSETS For ALL FIGURES. From all the co-op societies.